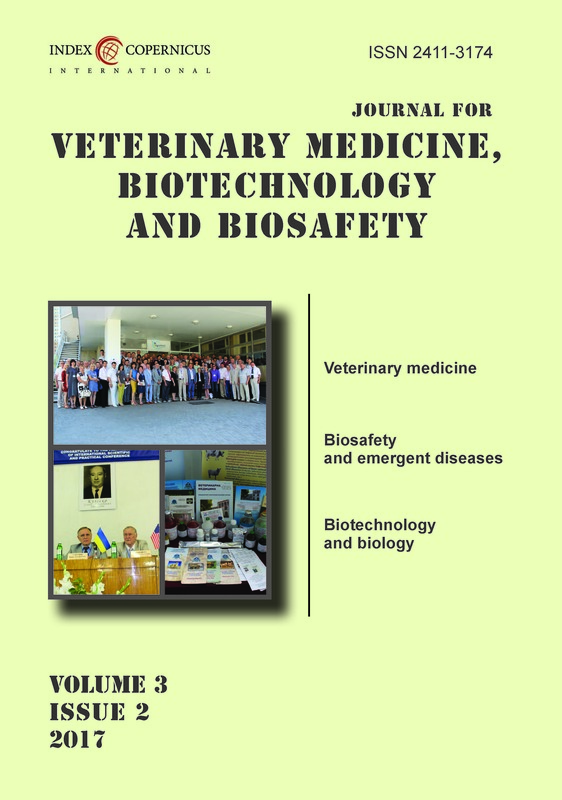 The ‘Journal for Veterinary Medicine, Biotechnology and Biosafety’ is an international scientific, open access and peer-reviewed journal which publishes papers from all areas related to veterinary medicine, biology, biotechnology, biosafety and biosecurity. The series issued quarterly in online and hard copy versions in English only. The modern stage of development of the life sciences all over the World is strongly connected with increasing of the temps of agricultural and biotechnological production, globalization and economic development. 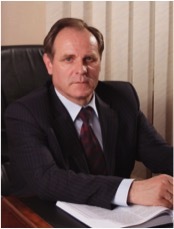 The growing of the production is connected with extremely scientific development. 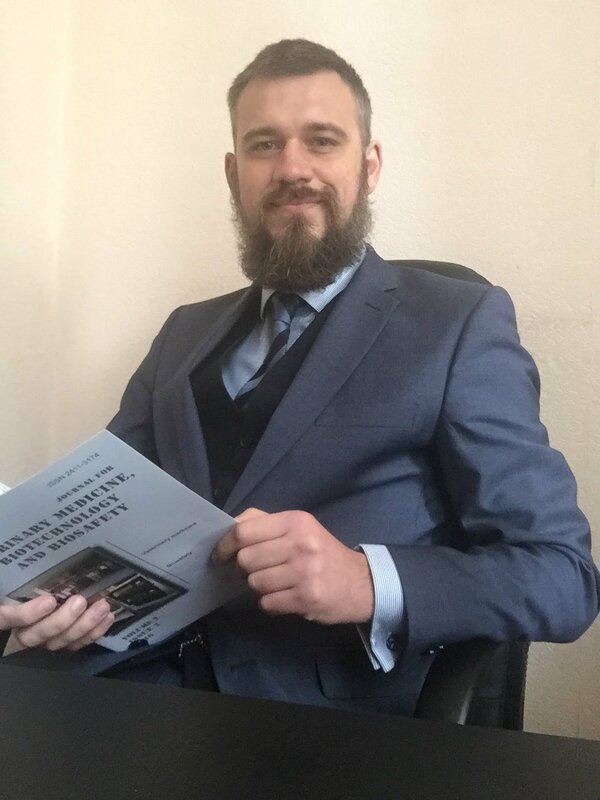 This produce significant risks and threats of the dual using of the scientific development, especially in area of the life sciences (biology, biotechnology, veterinary medicine and human medicine). The main area of the consolidation of activities of both of these spheres is biosafety and biosecurity. The National Scientific Center «Institute of Experimental and Clinical Veterinary Medicine» is the leading specialized research institution in Ukraine created for solving scientific and practical tasks of veterinary animal. NSC «IECVM»’s basic research are focused on: immunogenesis and disease pathogenesis, indications, authentications, isolations and studies of biological features of their causative agents, developments of facilities and systems of monitoring, diagnostics, prophylaxis and prognostication of infectious diseases of animals, monitoring of quality and unconcern of agricultural produce and development of the normative basis for animal diseases control and biosafety. NSC «IECVM» coordinates implementation of scientific researches on questions veterinary medicine, that conduct scientific establishments of NAAS, Government Veterinary and Phytosanitary Service of Ukraine, and higher educational establishments of Ukraine of agrarian profile. Since 2015 we have founded the new publishing issue to promote the life science basic and applied research carried out in Ukraine and other countries. We present the new «Journal for veterinary medicine, biotechnology and biosafety», aimed to consolidate and share the new developments and achievements in the aria of biological science. The Editorial board hopes, that our magazine will be interesting for wide auditorium of scientists and practical specialists in veterinary medicine, biology, biotechnology and biosafety. We invite new authors for fruitful collaboration and joint development. 2015-2018 © NSC IECVM All rights reserved.